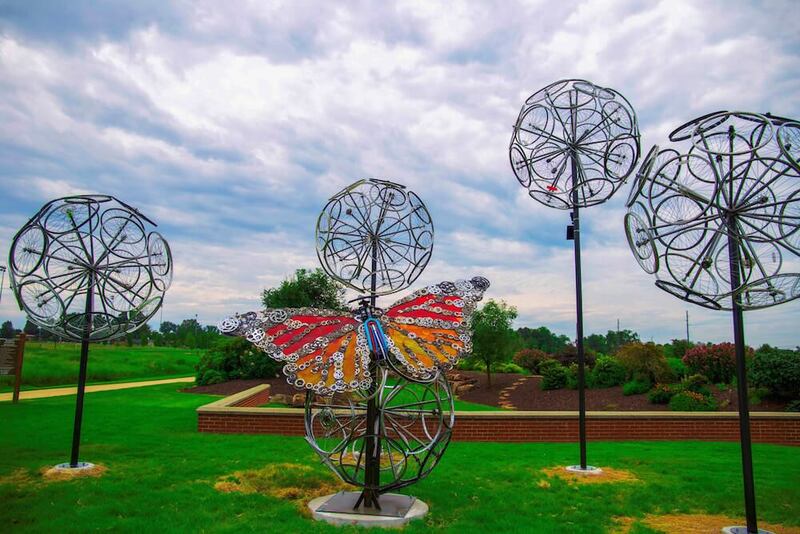 Monarch and The Dandelions, Bentonville, Ark. Bentonville, Arkansas, is a town of beautiful scenery, award-winning cuisine and priceless artifacts. Located in the foothills of the Ozark Mountains, Bentonville is easily accessible from most major cities by air and just a short drive from Kansas City, Dallas, Oklahoma City, St. Louis and Little Rock. Bentonville is a town where modern progress meets rich history, where the arts meet innovation and where you can explore with all your senses; from the fresh air in the Ozarks to fresh cuisine on your plate, Bentonville is one of a kind. This spring, plan your group tour in Bentonville to experience amazing weather and gorgeous blooms. Crystal Bridges Museum of American Art, Bentonville, Ark. Explore Crystal Bridges in a setting that unites the power of art with the beauty of nature and architecture. 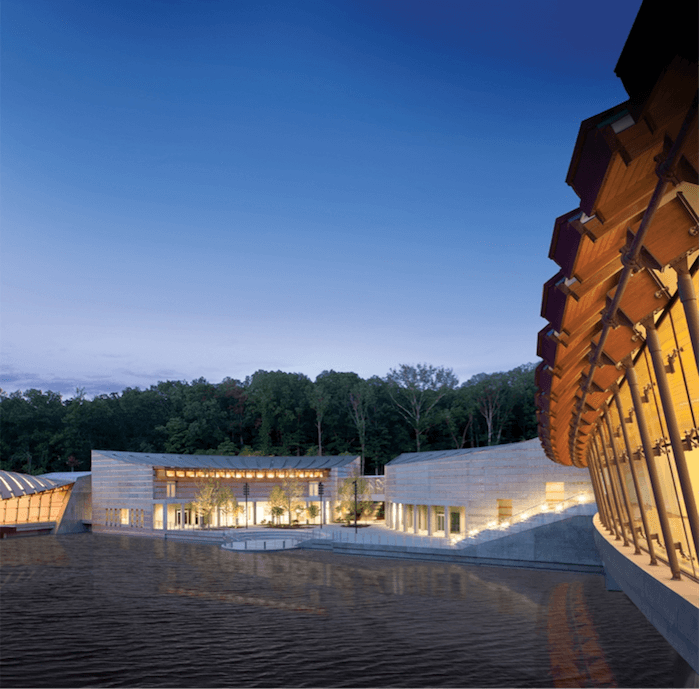 Crystal Bridges takes its name from a nearby natural spring and the bridge construction incorporated in the building. The permanent collection at Crystal Bridges spans five centuries of American masterworks ranging from the Colonial era to the current day. This spring dont miss the temporary exhibit Men of Steel, Women of Wonder, the first major exhibition to examine art world responses to Superman and Wonder Woman. On View February 9-April 22nd. The Walmart Museum, Bentonville, Ark. Experience the Walmart Museum and all it has to offer. 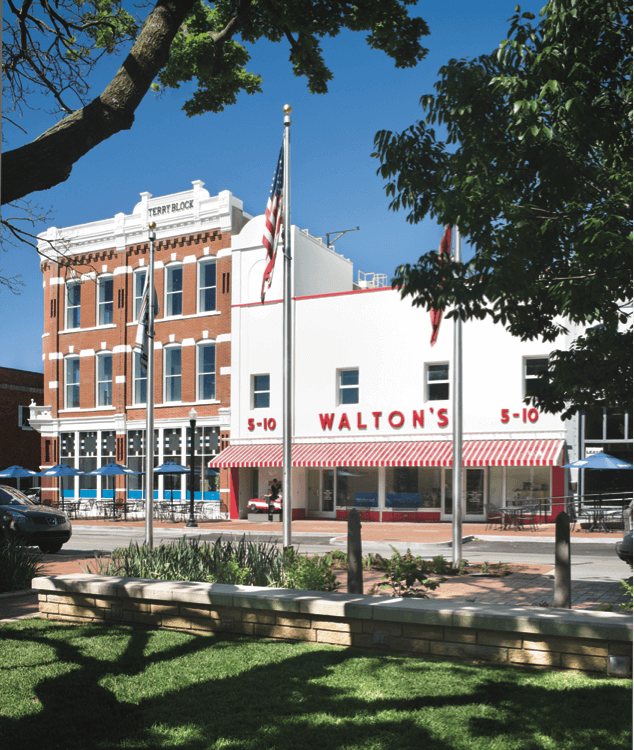 Located on the Downtown Square, Waltons 5&10, the original storefront where the conception of Walmart began serves as the museum location. Groups can tour the museum at their leisure or opt for a more in-depth guided tour that explores the full history of Walmart and the family that started it all. Tours end at the Spark Café Soda Fountain, an ice cream shop that honors Sams love for ice cream. Guests can try the specially made Spark Cream or Sams favorite, Butter Pecan! 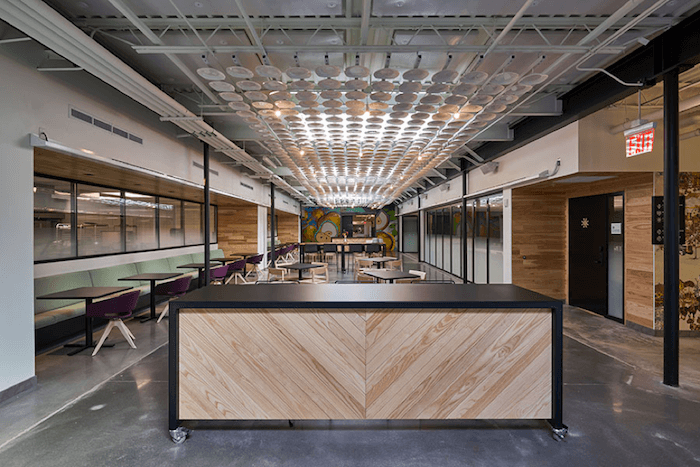 Brightwater: A Center for the Study of Food, Bentonville, Ark. Brightwater approaches food as art, food as wellness, and food as business to offer an entirely unique approach to the culinary arts. Guests can tour Bentonvilles culinary school and see the students skills in action. If visitors are lucky they may even get to try whatever is on the menu that day! Brightwater offers special cooking classes in applied farming, seasonal cooking, and the art of fermentation. 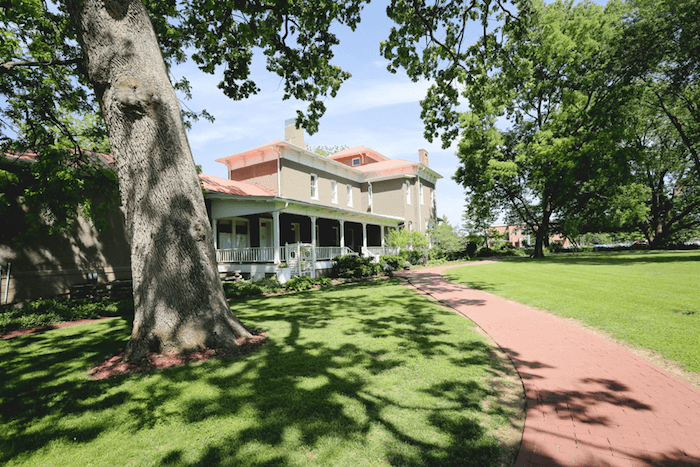 The Peel Mansion Museum & Heritage Gardens, Bentonville, Ark. Take in the beauty of Peel Mansions outdoor gardens filled with historic roses, perennials, and native plants followed by a tour of Colonel Samuel West Peel marvelous villa tower Italianate Mansion built in 1875. The grounds serve as a living display of that period. Plan a tea party for your tour for a unique experience surrounded by beautiful spring flowers and rich history.